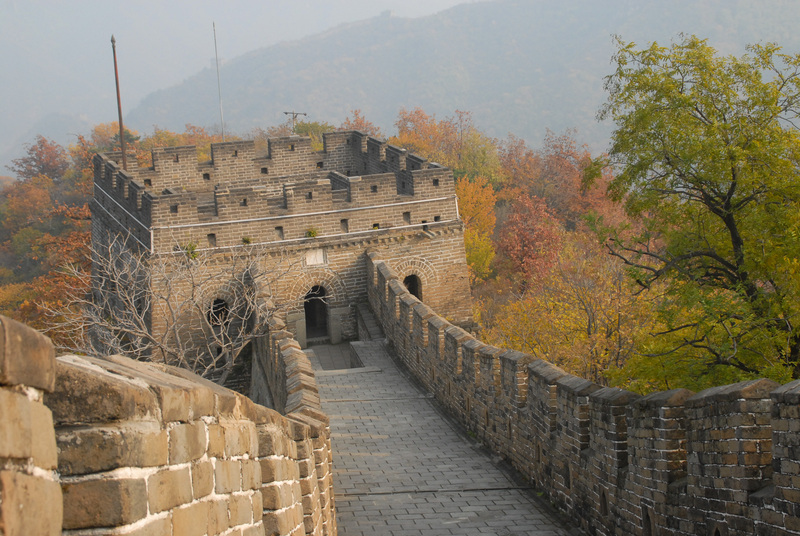 Many of our experiences here in China have been needlessly complicated, but none more so than visiting the Great Wall. We chose to go to Mutianyu, a section we read was less busy than the famous sites such as Badaling, but more accessible than the less restored sections such as Jinshanling. You’d think there’d be a direct bus from the country’s capital city to its main tourist attraction. You’d be wrong. Adam and I set our alarms early and dragged ourselves out of bed to catch the metro to Dongzhimen, where we walked around the bus station futilely trying to find the direct bus, which only ran at 7am and 8:30. As our frustration grew, a friendly conductor stopped to help us and told us that bus no longer existed, but directed us to another bus that took us to a town near Mutianyu. It was only when on the bus that we realised she had sent us to another section of the wall entirely. The start of the trail- once we finally got there! This was just one of a million needless complications we’d had since we arrived in China, and it pushed me over the edge. All of the frustration of the past few days came pouring out, as I ranted, swore, and lamented why in God’s name there wouldn’t be a direct bus to one of the most famous attractions in China. When my fury had subsided, we alighted at the town, as instructed, and fought off the horde of taxi drivers that descended upon us. We asked for help from a stranger who didn’t speak English but very kindly looked at our destination name, wrote down a bus number, and drew us a crude map to the bus stop. And so we made our way by local bus to the town of Huairou. Arriving at the bus station, we found a new, if predictable complication. There was no shared transport to the wall, only private taxis. After being hounded by a driver, we eventually relented and took his taxi to the wall. At least, that’s where we thought we were going. Stopping in a car park seemingly in the middle of nowhere, he smiled at us and said “Mutianyu”. It turned out that no cars were allowed on the road to the wall, and we had to buy our tickets at the nearby entrance, then take a shuttle bus. Feeling fit to turn around and go stright back to our hostel, if not directly back home, we bought our entrance tickets and passed through the gateway into a village of souvenir shops and overpriced restaurants. Our trip to the Great Wall, for me, seemed ruined before it began. Nearly five hours had passed since we’d left our beds, during which time we’d taken no less than five modes of transport: metro, long distance bus, local bus, taxi, and now a shuttle. Not to mention a million steps! “We’ve been in countries where it’s harder than this to get around”, Adam pointed out. “You didn’t seem to mind it so much then”. True, I conceded. But there was something about getting around in China that seemed not just complicated, but needlessly complicated. Of course it had been difficult to get around Mongolia, there were vast stretches of desert and few tourists. And Nepal had been complicated too- no transport seemed to go where we needed, and, when it did, it could get delayed for up to an entire day. But in these countries the hassle had been worth it. 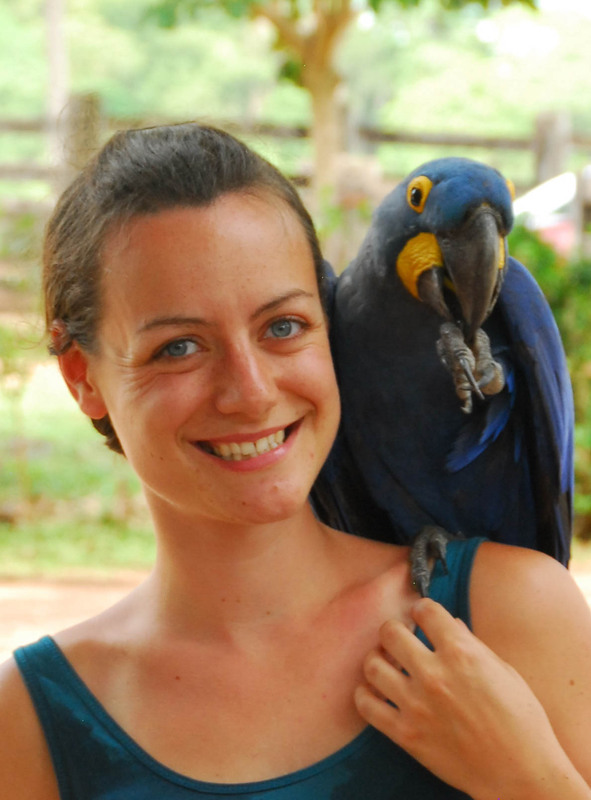 For all the difficulties in getting around, they offered incredible, out-of-this-world experiences in exchange. But Beijing was different. It felt like just another developed city. Rather than open up a new world to me, it felt like a slight twist on an old format. Which probably would have been ok for a while, but taking this old city format and removing all ease of getting around made it seem like I was always struggling to get somewhere, and, when I got there, it wasn’t that great. The city had a metro system, punctual buses that ran to every town, and tourist attractions with signs and maps in English. So why on earth were five modes of transport necessary to get to the Wall? The cynic in me was convinced it was to force people to go by pricey guided tour. Thankfully, our story had a happy ending. We exited the bus and began to climb the steps, which were beautifully scenic, surrounded by colourful autumnal trees. The walk wasn’t nearly as difficult as we’d been told, and, after many stops to photograph the picturesque surroundings, we reached the wall. 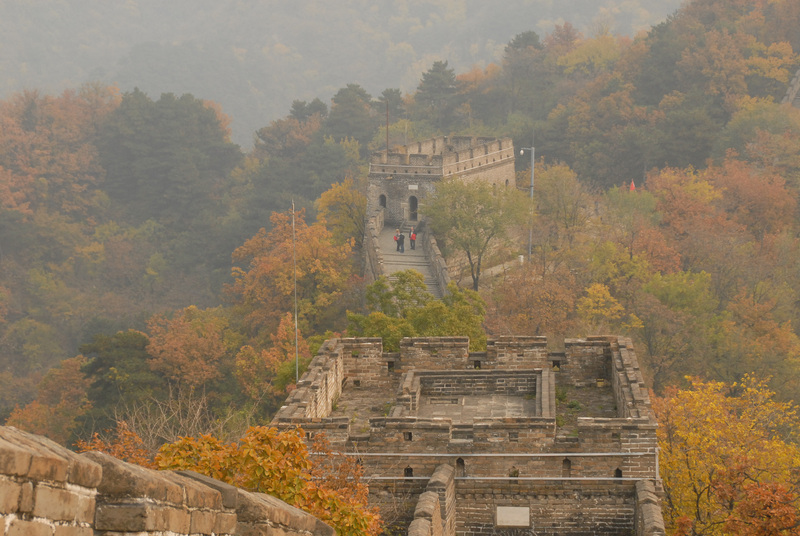 Standing on the watchtowers, seeing the Great Wall stretch as far as the eye can see in either direction, snaking its way over the mountain ridges and surrounded by a colourful forest scene, I had to concede that it was worth the trip. 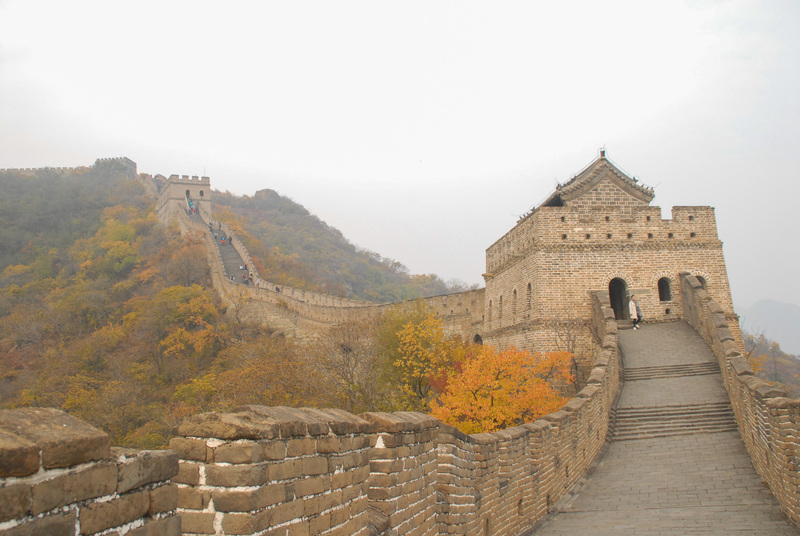 I may never understand the lack of transport, and I may not like Beijing, but I loved the Great Wall. 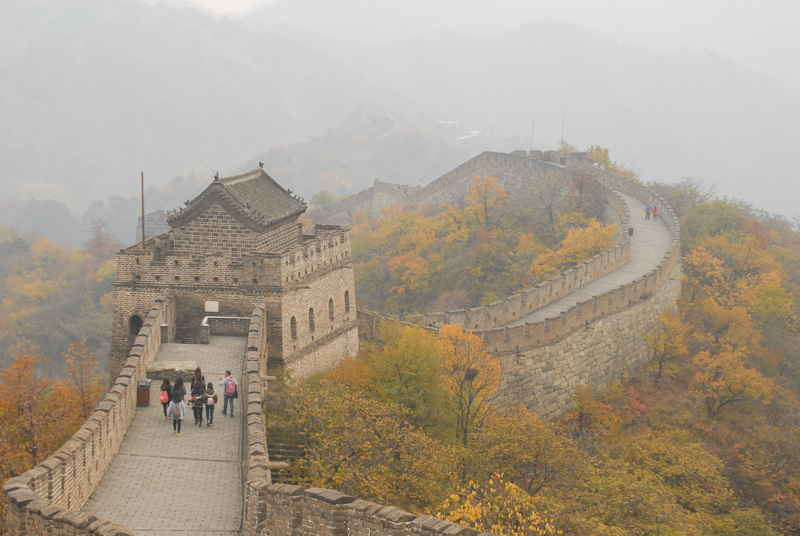 Have you been to the Great Wall (and was it a less painful journey than ours)? I’ve been to the great wall once but luckily we were on a tour so all the work was done for us. I’m sorry that you got stuck in a labyrinth of transportation but it looks like you got some beautiful pictures! What date did you go to Mutainyu? I want to see the Autumn colors! We went in early November, and we were blown away by the Autumn colours! 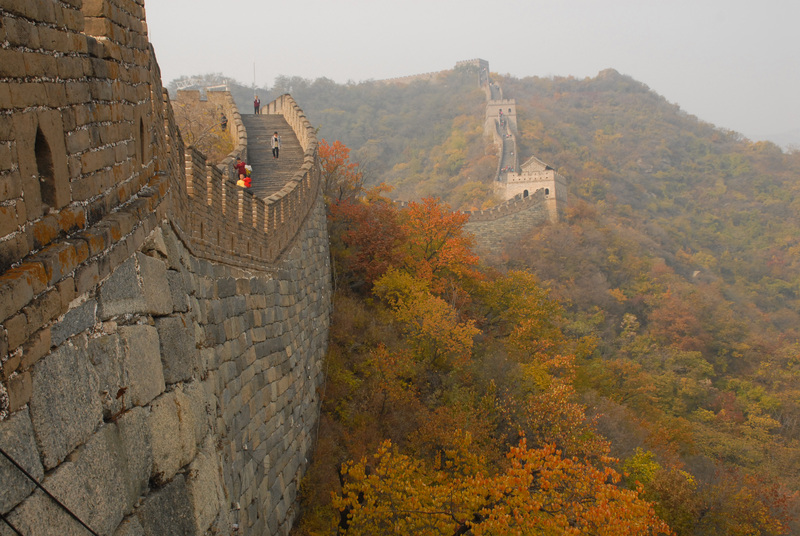 November is a great time to visit China- the peak season has ended, so prices are slashed, but it’s not too cold yet. And the views are stunning!